While entering the villa you will find the main garden decorated with plants and flowers which gives a tropical atmosphere. 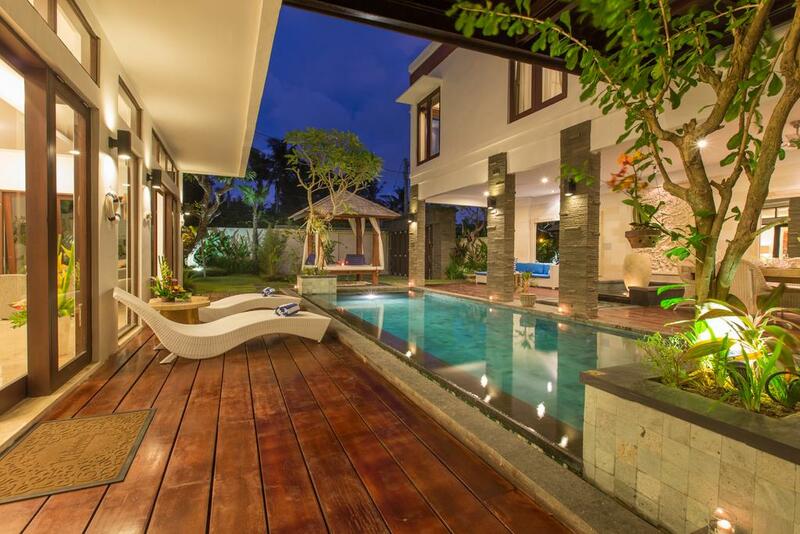 In this area, you also have the swimming pool with wood deck alongside and pebble borders. Everything is made for a perfect relaxing time with sun lounges and a wonderful Gazebo. The walls are decorated in a refined style with mirrors, basins and sculptures. 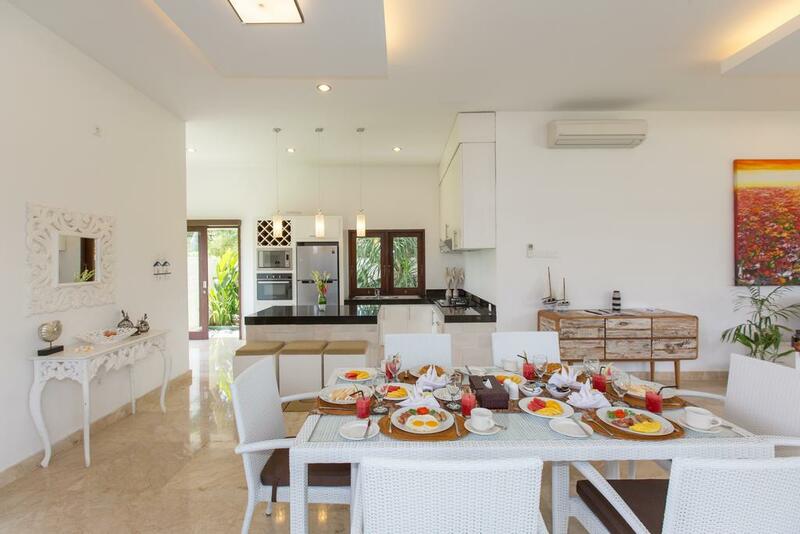 The villa is also equipped with a dining table for 6 and a lot of sofas. 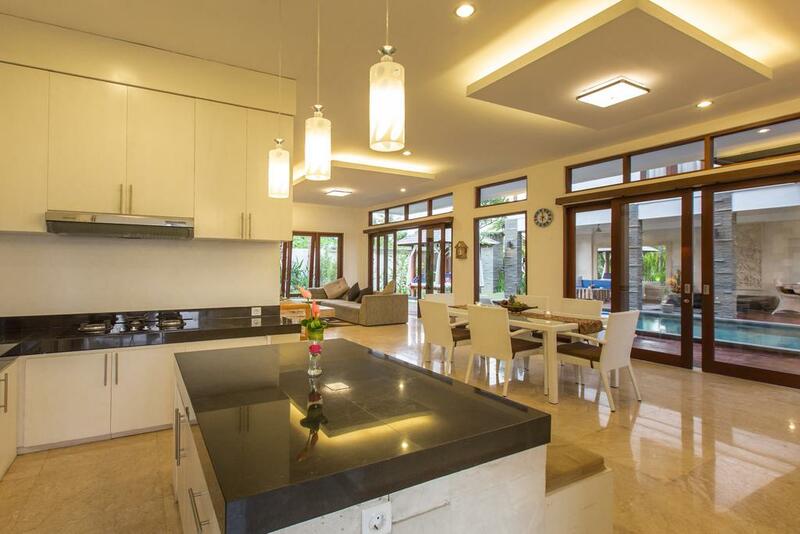 At the junction with the garden is the lounge and kitchen area, a huge air conditioned open space. 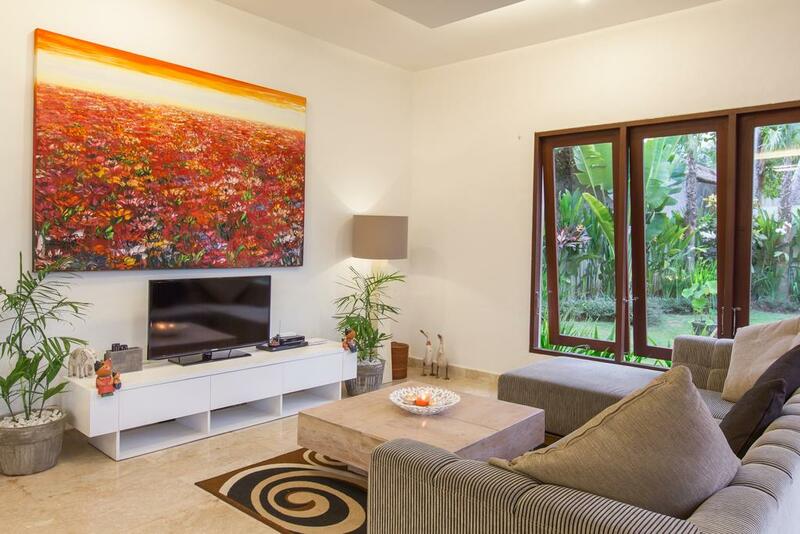 Lounge area provides a large sofa, flat screen and small table while the kitchen is fully equipped and leads to another private garden. The stairs will bring you to the second floor and its stunning rice field view. 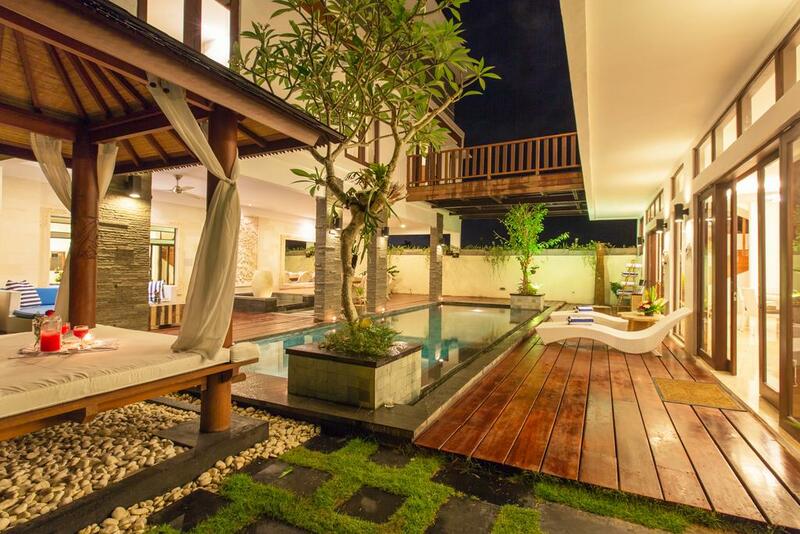 You will appreciate the large balcony with wood floor and garden view on a side and rice field view on the other side. 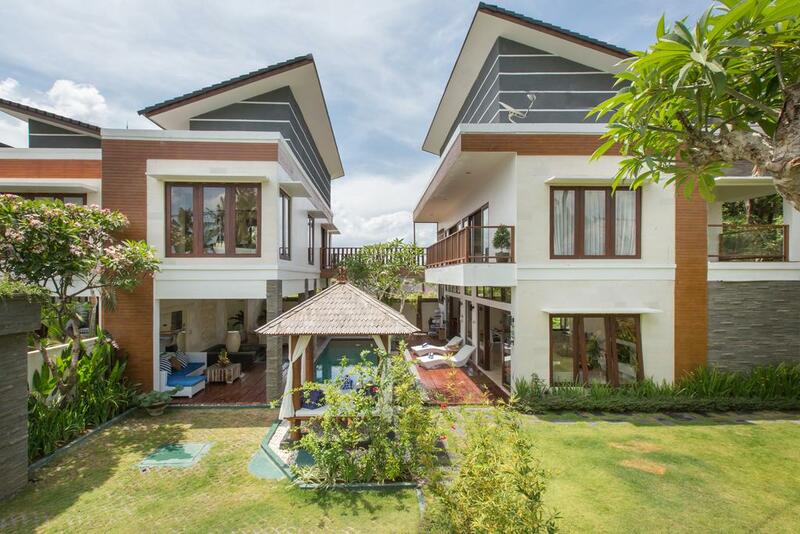 The three bedrooms are located at the second floor. 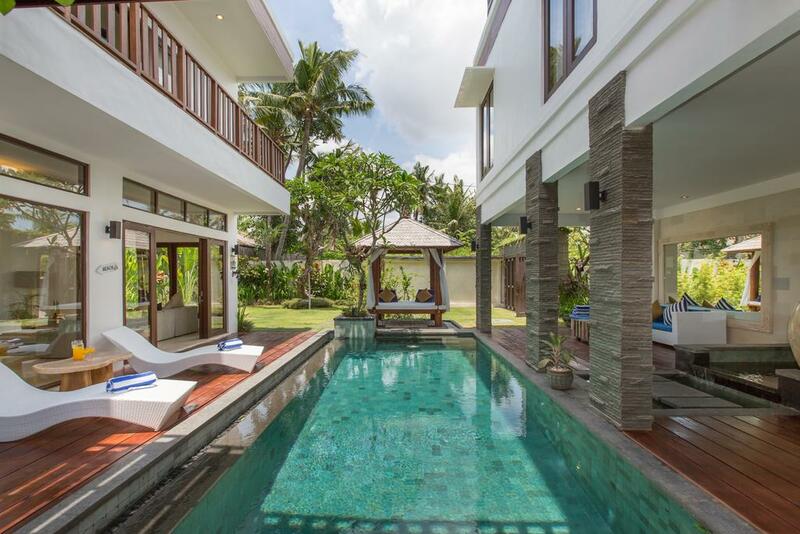 Each one has its own bathroom, TV screen with international satellite channels is available in the living room and Master bedroom the two other bedrooms come with Indonesian TV Channels. 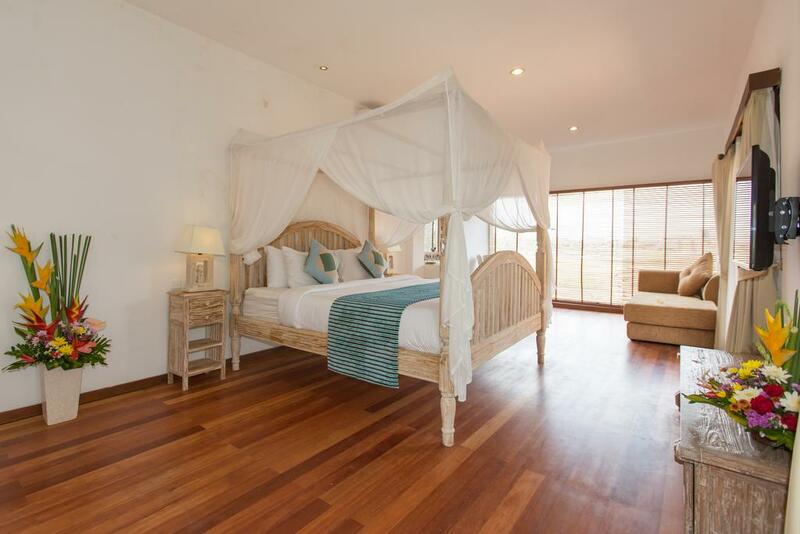 On the right side you will find the master bedroom equipped with a king size bed and prestigious mattress. 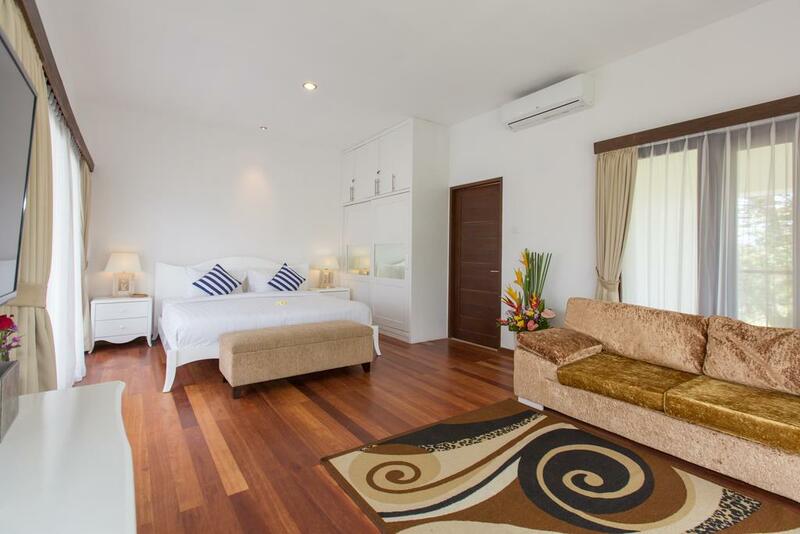 This room also offers you a large sofa, a reading chair and a sitting table with mirror. From this area you can enjoy an amazing view on the rice field through the big windows. A large dressing is available to put all your clothes as well as a safety box and a mosquito net. 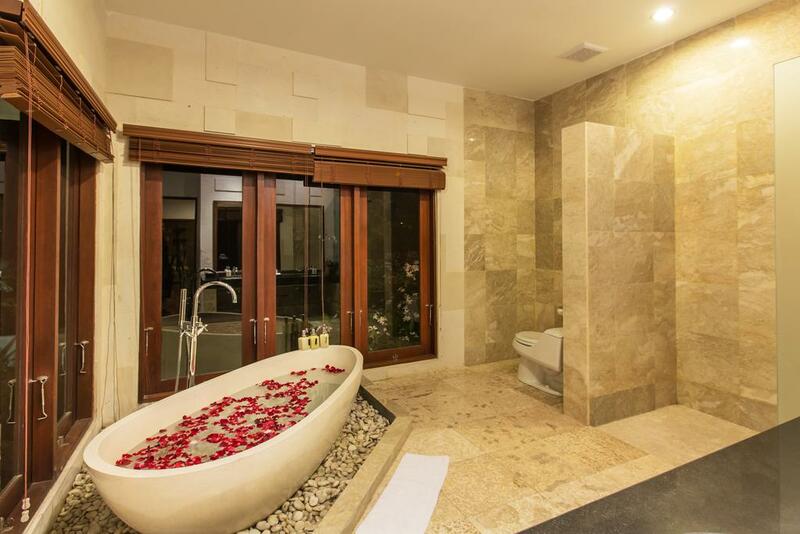 The huge bathroom is equipped with bathtub and shower and two sinks with big mirror. The two other bedrooms are on the left side. They both have king size bed with prestigious mattress, small dressing and an ensuite bathroom with a shower and one sink with mirror. 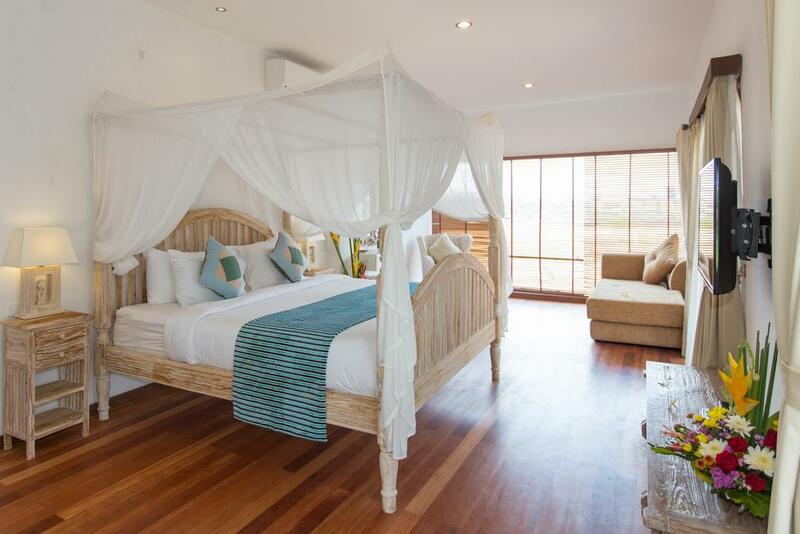 In the first one you will find a large sofa bed that can be extend in another extra bed. The second one is equipped with a sofa and offers a nice garden view. 24 hours security service with one gateway system. Large solid bathtub for master bathroom with hot cold water showers.